Apple has announced that it has already sold one million iPhone 3GS phones in the first weekend of sales, and not only that, Big Cheese Jobs was the one to give the news. "Customers are voting and the iPhone is winning," said Steve Jobs, Apple's CEO. "With over 50,000 applications available from Apple's revolutionary App Store, iPhone momentum is stronger than ever." 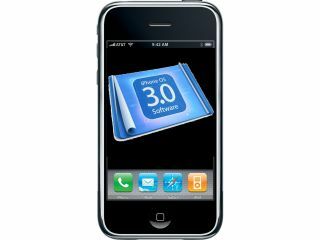 The release also said that six million people worldwide have downloaded the new iPhone 3.0 software, something echoed by O2 when it told TechRadar 'hundreds of thousands of people have downloaded the software, over half our iPhone customers'. The figure was reached in just 72 hours after the phone went on sale, making it one of the fastest selling handsets of all time. In many territories it actually outsold the iPhone 3G in first day units shifted, although Apple managed to get more handsets to the shops for this launch, which probably explains the shift. Apple will be doubly happy after it was revealed it was outselling rival Palm 10 to one in terms of Pre vs iPhone 3GS sales, and it seems that the new iPhone not adding a huge amount of functionality to the Apple pie didn't deter would-be upgraders.